Bangkok is a center of on-going development in Southeast Asia. Solemn Buddhism culture and lively night markets have developed side-by-side to create a modern, but chaotic city full of energy. Amongst the harmonious charm of the old and new along the streets of Bangkok we survived the lighting environment. 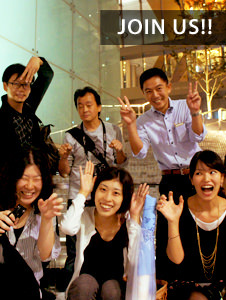 Open-air restaurants on the top floors of high-rise buildings are very popular nightspots. From the 55 floor the energetic and chaotic atmosphere of the city is absent. Amongst the rows of tall buildings sodium lamps flood the streets with light creating the impression of a sprawling modern city. Street vendors line the sidewalks. Moving deeper into the night market, the booths are covered with various lamps and neon arranged without much thought other than to show off the merchandise. At one booth warm colored lamps were used to showcase warmer tones of accessories and whitish light reflected off the spangled jewelry. 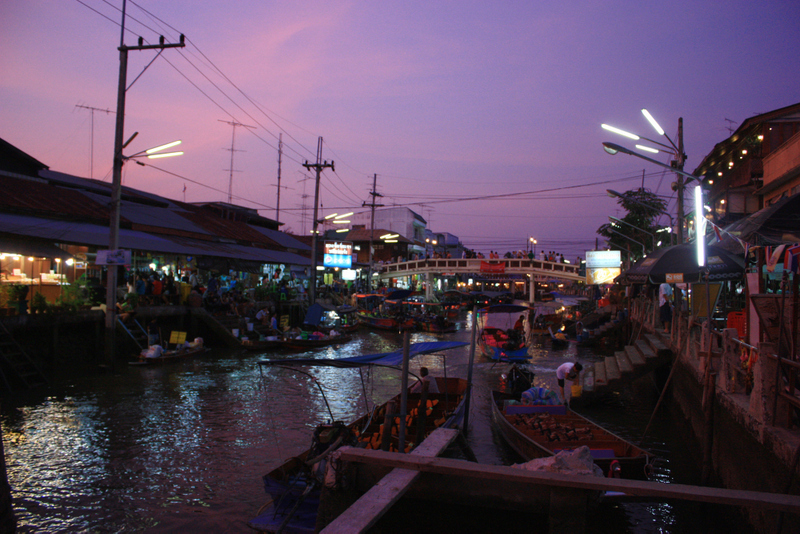 An hour’s drive outside of Bangkok is the town of Amphawa, famous for the Amphawa Floating Market. Along the narrow river are many lights that reflect of the surface of the water. The reflections create depth along the Chao Phraya River and a lively buzz along the riverbanks and streets of the town.